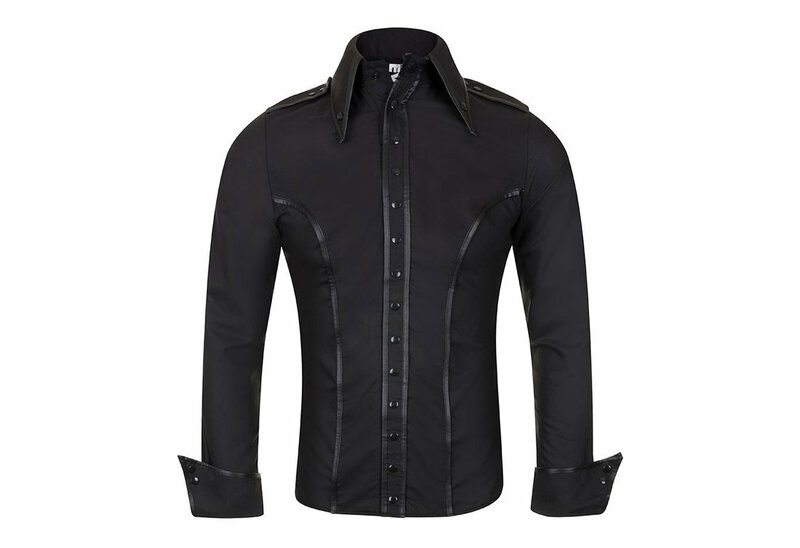 The Orcus Men's Shirt is a super sleek shirt that features all over faux leather trim and black popper fasteners. 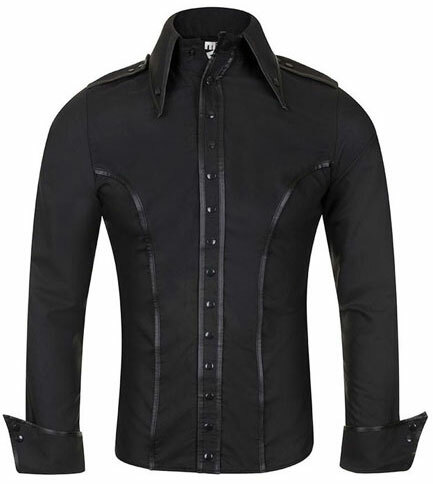 With oversize collar and cuff detail, the Orcus Shirt also features faux leather trim epaulettes and is made from a super soft material. 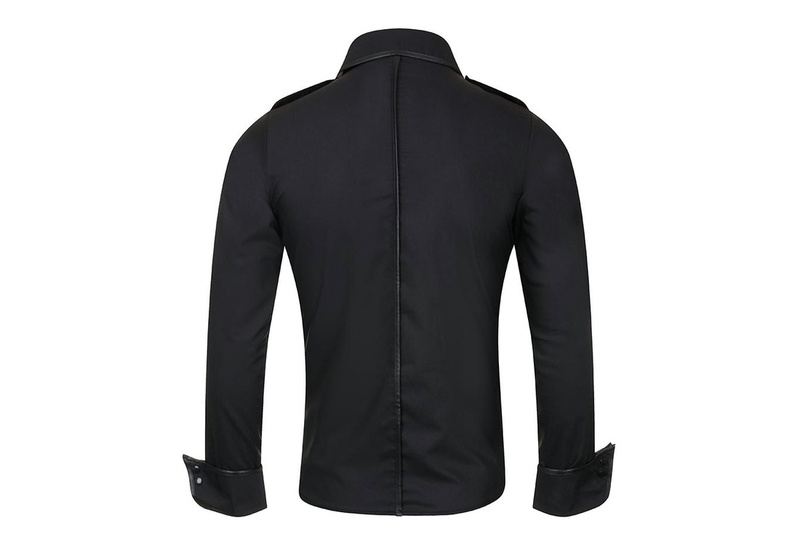 A smart shirt that's perfect for day to night wear and all occasions! 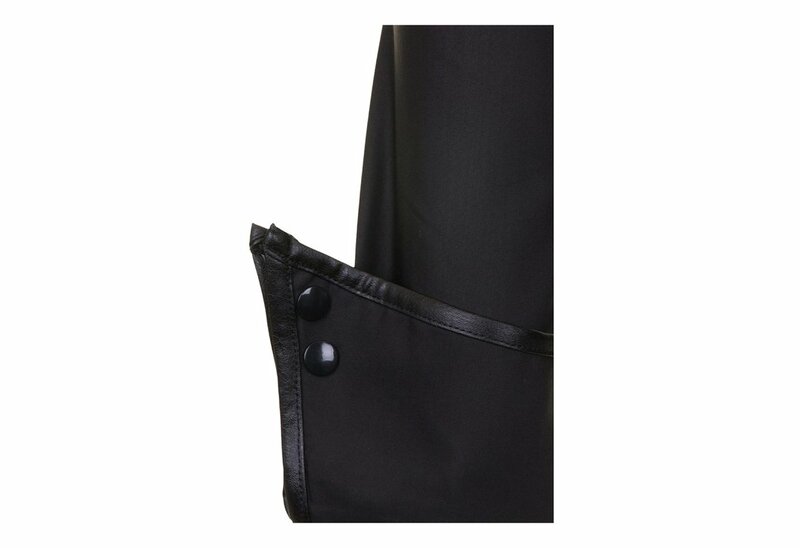 Fits well, good quality. 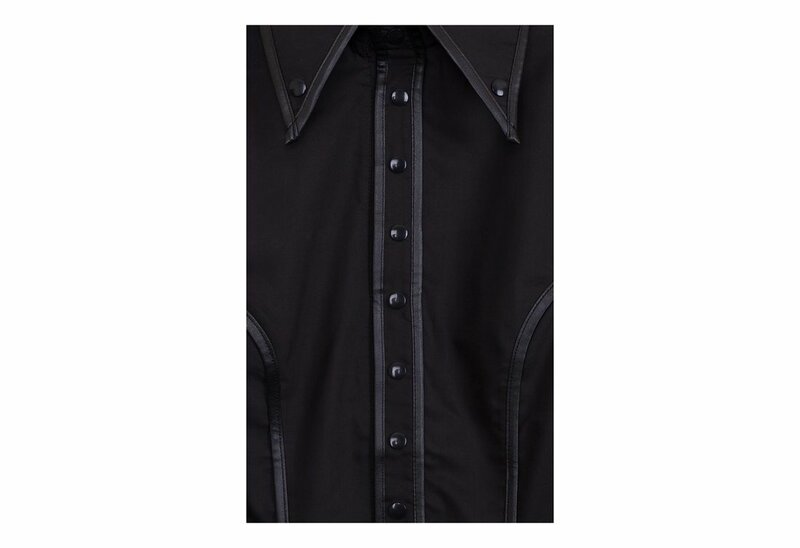 Instead of buttons, this shirt uses snaps all down the front, which does give it a goth cowboy vibe.